IEX, the company made famous my Michael Lewis’ “Flash Boys”, received approval from the US Securities and Exchange Commission late on Friday June 17 to run a national stock exchange. The firm filed with the US Securities and Exchange Commission to become a stock exchange last year, kickstarting an ugly battle with some of the incumbent exchanges. That debate has dominated the discussion around equity market structure for the past six months or so. And now the SEC has given its ruling, you could be forgiven for thinking that we all now move on and get on with our lives. You’d be wrong. For one, the trading of barbs is unlikely to stop, even if the SEC has approved IEX’s exchange application. Nasdaq said in May that the SEC could be sued if it approves IEX’s application to become an exchange. On Monday June 20, a spokesman suggested that might still be on the table. “We are evaluating the SEC’s decision and assessing all options to ensure the best outcome for the US equity markets and all of its participants,” the spokesman said. In addition, IEX now has to prove itself all over again. 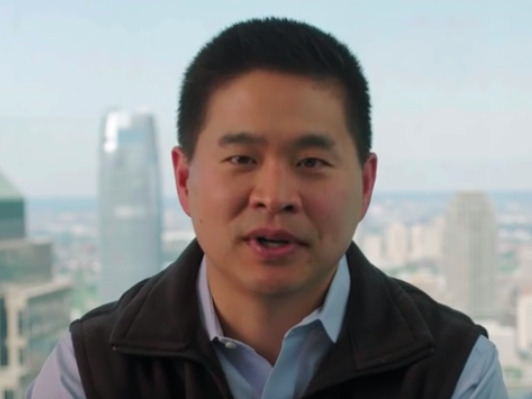 The firm has a market share of around 2% as an alternative trading system, which is about as large as an ATS can get, according to IEX CEO Brad Katsuyama. The firm now wants to make use of its new exchange status to scale up. It has talked publicly in the past about receiving inbound inquiries from public companies about listings on the exchange, for example. In that sense, the SEC approval is a licence to compete, and nothing more. In a 4 minute 14 seconds posted on YouTube and IEX’s website over the weekend, John Schwall, chief operating officer at IEX, echoed this sentiment. “We cannot falter. We cannot compromise our integrity. We cannot let down our guard,” he said. In this battle to compete, there will be a renewed focus on IEX’s execution quality, or the quality of the service it provides to investors trading on the exchange. There will be market watchers paying close attention to this over the coming months. Those on both sides of the aisle will look for evidence that IEX’s speedbump, which delays trading by 350 microseconds, positively or negatively impacts market quality. “We must be vigilant to identify unintended consequences, and firm in our commitment to equitable and consistent treatment for all investors,” Jamil Nazarali, head of Citadel Execution Services at Citadel Securities, told Reuters on Friday. Citadel was one of the firms that urged the SEC to reject the IEX application. Then there is the practical stuff. IEX plans to have a stock-by-stock phase-in period for the launch of the exchange August 19 through September 2. Stay tuned, folks. This story isn’t done yet.